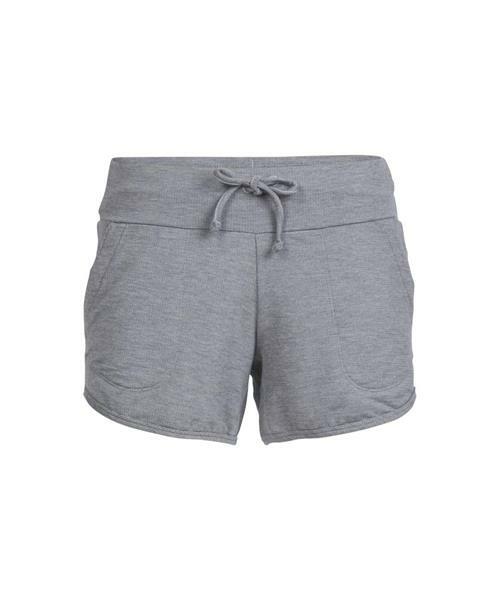 Classic jogger-style shorts that combine a relaxed design with technical fabric that’s fully capable of an active day outside, the Mira Shorts feature Icebreaker's cozy 260gm terry Cool-Lite fabric. Cool-Lite™ blends soft merino wool with natural Tencel®, nylon and a touch of Lycra® for stretch, and they added a gusseted construction for added range of motion, making them perfect for serious workouts and down days alike. Front hand pockets stash your small essentials, and an elastic waistband with internal drawcord helps secure the perfect fit.